In my last blog I talked about how hard it is for an abuse victim (you) to decide whether you are being abused, especially if the abuse is not physical. 1. Your abuser blames his* behavior on you. 2. He denies what he is doing. 3. Sometimes he treats you very well, often apologizing for his past behavior, telling you how much he loves you, buying you flowers, and promising never to behave that way again. This is often called the “hearts and flowers” stage in the cycle of violence. 4. The abuse gets worse slowly, so you become accustomed to it, like a frog in a pot of boiling water. If you put a frog in a pot of boiling water, he would immediately jump out, but if you placed him in lukewarm water, then slowly turned the heat up, he would get used to the heat until he boiled to death. 5. Often you love your partner, and want to think the best of him. 6. You have so much invested in the relationship. This is especially true if you have a home together, and children together. This is even truer if you are a Christian woman and you are married to your abuser. You will often feel that you must stay with him because God and your church and the bible tell you to. Therefore, you have so much to lose if the relationship ends. So, you try to focus on what is good about the relationship, and try not to think about what is wrong with it. So, how can you get past these obstacles and get to the point where you begin to realize that your abuse is real, and you will have to do something about it? First, no other person can do this for you. You have to get to this place by yourself. There is no telling how long this might take. For some women, it might take a few weeks or months, and for others, it might take years or decades. Thirdly, you may need help not forgetting the bad things that have happened to you during the “hearts and flowers” stage of the cycle. The best way I suggest doing this is to keep a journal. In this journal, you can write down your daily experiences, both good and bad. There is no need to worry about good sentence structure, grammar and spelling. This is just for you. In fact, you will want to be diligent about keeping this hidden, especially from your partner, and especially if you are afraid of him. How should you keep this hidden from him? You can ask a friend to keep written journals at her house. If you are typing them on a computer, you can store it on a small computer flash drive which you keep well hidden (making sure to delete the file off the computer). If you are really frightened of him, you can use a friend’s computer, or one at a library. Or, save it on a private I Cloud account. Warning: If your partner is very knowledgeable about computers, and likely to snoop around on yours, it is safest not to use your computer at all. He might be able to track every website you have looked at, every Facebook post you have made, every file you have typed in. Why is journaling important? Over time, you will be able to see your partner’s patterns of behavior you might not notice in daily life. You will be reminded of events that you have forgotten, or that you have convinced yourself “weren’t that bad”. It will be easier to think logically about the events looking back at them over time, and perhaps to compare them to a list of abusive behaviors. 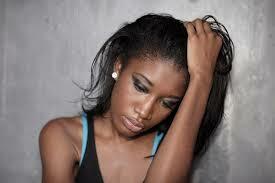 What should you do if you decide you ARE being abused? Call the National Domestic Violence Hotline 1−800−799−SAFE(7233) or TTY 1−800−787−3224 for next steps. My next blog will talk about this as well. You are valuable, cared for, and loved by the King of the universe. You deserve to be treated well. *Abusers can be male or female, and their victims can also be male or female. In this example, the victim is female, and the male is the abuser.